The Torres Strait and Northern Peninsula Area of Queensland covers a wide geographic area of approximately 48,000 sq km and includes three local government Council areas. 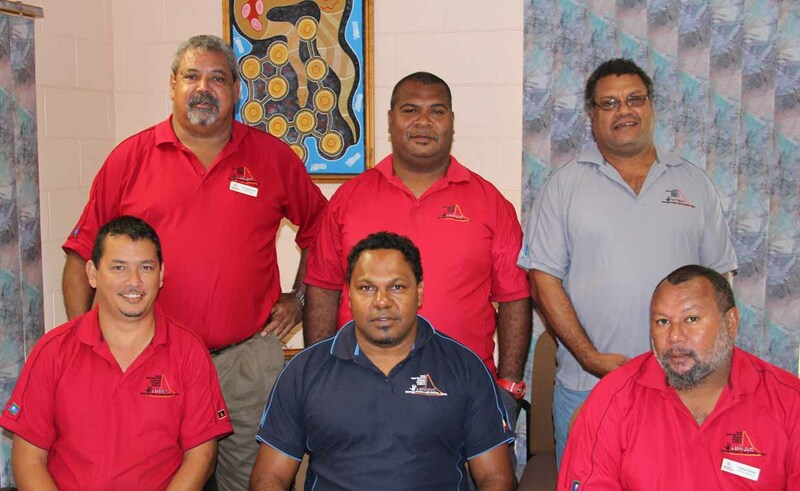 These are Torres Shire, Torres Strait Island Regional Council and Northern Peninsula Area Regional Council (NPARC). The Northern Peninsula Area Regional Council was formed in 2008 by the amalgamation of the shire and island councils of Bamaga, Injinoo, New Mapoon, Seisia and Umagico. Council consists of five divisions, one for each of the former entities. Each division elects one councillor. The Mayor is elected across the entire Council area. Council meets on the last Tuesday of each month. The meetings are open to the public. Front row: Cr. Cassandra Adidi, Bamaga; Cr Gina Nona, Injinoo; Mayor Edward Newman. Part four of the Local Government Act 2009 terms the Northern Peninsula Area Regional Council as an “indigenous regional council”. This section provides that the Council is also trustee of land described in a deed of grant in trust issued under the Land Act. The Council must conduct its trustee business separate from its other local government business. Trustee business includes decisions to put an improvement on trust land or create an interest in trust land (for example a lease). Trustee meetings are held when required and are open to the public.